This closeout wine was $5 so I bought 3. This wine is 1/4 Primitivo (the genetic grandpa of Zinfandel) the same of Montepulciano, Negroamaro, and Una Di Troia. The bouquet is big with daffodils and gardenia with a touch of caraway--wow! This wine is a young looking dark purple still with black cherry pie notes rising after opening. It is well made with interesting hints of green herbs, ripe black fruit and for this price, it's a no brainer. Raise a glass. This Sicilian varietal is purple-cranberry hue with floral overtones and loads of cherry fruit with plum notes in the nose. On the palate this wine emits stewed fruit with light flavored notes of gentle fruit in the finish. Breathing it, there is a touch of earthiness with sour cherry notes and finishes very nicely with a solid fruit finish. This is one of the numerous discoveries of a group called "Small Vineyards" indicated by a small sticker on the label. They find the small vineyards who would not be able to compete in the normal market due to size and are marketed under the "Small Vineyards" logo. It' a nice idea and this was a tasty Nero D"Avola for $10 so raise a glass. This Spanish red is intensely purple and young looking. I thas a deep berry nose and tons of fruit. That's the good part of this wine. In the mouth it is thin and a bit tart and edgy. It is a blend of Grenache (65%) and 35% Syrah but it fails on both counts. It is not very "Grenachey" and it is just too acidic with a persistent tartness through to the finish. I pad less than $10 for this and even at that, it's a pass! This is a huge wine, so you need to be ready for it. It's dense and rich, bordering on sweet and sticky. Rosenblum performs this highly extracted style with some of their Zinfandels as well as this Petite Sirah. I really like this wine, but I was in the mood for this style when I opened it. I had a pretty good idea what was in the bottle after tasting the prior vintage twice. The bottle cost me $19. Raise a glass! This wine is from Calatayud Spain has remnants of a purple color with raspberry and light berry bouquet. It is lively in the mouth with zesty fruit and sweet notes of tart raspberry and red berry notes with a touch of spice and white pepper on the finish. I tasted this a day later and it had a nice taste of butterscotch. Not expected in a Grenache but tasty none-the-less. For $10, raise a glass! This $10 pale yellow, varietal with the funny name is really NICE. This creation has big apple/peach notes with a sweet pineapple floral bouquet. In the mouth it is lively with a touch of what the Germans call "spritzig" or sparkle with a foundation of nice acid with sweet ripe pineapple flavors that are just great! I paired this with Moroccan chicken and it was fabulous. This Washington state winery generally comes up with some real value wines. This one is superior even to their normal high standards so raise a glass! This Washington State winery produces nice value wines across the board. This Syrah is one of the least I have had but in fairness, it is a bit old for this type and style of wine. It is a mature red with dark berry bouquet. The palate is a bit awkward and confused. It has thin flavor but actually improves a bit on opening. Not a bad in quaff. Don't judge this Columbia Crest on this review; they produce solid wines--period! This wine, (Muller-Thurgau is the grape) typically known to be a major grape in Austria, was grown in northern Italy. It is light straw with a bouquet of wonderfully fruity and candy nose of fruit compote with sweet pineapple, apple and a touch of cream. The palate is tart, has nice acid dry with mineral and stone notes or flint mixed fruit and a touch of citrus with grapefruit finish. Quite interesting at $12 needs careful scrutiny to appreciate. Raise a glass. This Bordeaux Superieur is garnet hued with lovely sweet bouquet with charcoal and black cherry nose. It has a pretty sweet palate with easy tannins and vibrant acid. It is fairly simple with short finish but easy drinking and a good food wine. I paid $11 for this and it is a decent wine with some character so raise a glass. This Spanish red is 50% Prieto Picudo (a grape I've never heard of until now) 45% Tempranillo, and 5% Merlot. It has a distinctive bouquet of sweet cloves and cocoa with celery hints and sweet fruit. It is a tasty and unique quaff which at $11 is a nice change of pace. Raise a glass. This wine is nicely structured and classy. It shows less of the super-ripe fruit of other Napa Cab's, but drinks very nicely with neatly woven layers of fruit, mint, and cedar. It should be delicious for many years to come. At a steakhouse, this bottle cost me $85. I often see it for $40-45 in stores. Raise a glass! The three wine reviewers of The Wine Cask Blog enjoyed this wine together at PB's house. Believe it or not, we decanted it about five hours before drinking it to encourage the wine to open up. I don't think it ever really did. It's the style of Barolo that's meant to be cellared for another ten years or so. It seemed muted and reluctant to show its stuff. We paid $47 for the wine, which is a tad below the average price of a bottle of Barolo these days. If you have some, be patient with it. Also, see Billy's review of this wine on December 30, 2007. Raise a glass! This is a value Chianti showing a nice deep black cherry hue with a rich bouquet of vibrant, fresh cherry underneath a front of tobacco and spicy black cherry. Palate is medium bodied with character and structure, solid fruit. The palate fades but the finish hangs on. This is actually quite nice and characteristic of the region. For $12, raise a glass. This is a Bordeaux Superieur comprised of 10% Cabernet Franc, 40% Merlot Noir, and 50% Cabernet Sauvignon has a garnet hue with a bouquet that both (NW) and I thought was largely Cab Franc. I was a bit surprised when I saw the blend. It doesn't smell or taste like Cabernet Sauvignon but that being said, this is one reason to buy the lesser growths of Bordeaux. This wine will run you around $12 and for that you get an interesting wine, one you have to think about, rather than a head long frontal assault of a nuclear fruit bomb that floods the market these days. The bouquet is sweet with charcoal and black cherry nose. In the mouth this is really sweet but don't think "sweet" light dessert wine or cheap wine. This works with its vibrant acidity. It is fairly simple but not simplistic and the finish is rather thin. But this is a good food wine that is easy drinking so raise a glass of bargain Bordeaux. I'm at (NW's) waiting on my MINI Cooper S to be serviced and we are watching the snow fall at a heavy rate--sigh...This wine is a Spanish blend of 50% Prieto Picudo--a grape I am unfamiliar with--45% Tempranillo and 5% Merlot. It has a unique bouquet of pronounced cloves, with some cocoa, celery and sweet fruit. For around $10, if unique is what you seek, give this a try. It is an interesting quaff so raise a glass. I enjoyed this wine. For sure, it's the "other" style of Cabernet Franc that is only found in the New World. In fact, it's so different from a Cabernet France from Chinon, France, that I'd be hard-pressed to ever guess they're the same varietal in a blind tasting. This wine is riper, smoother, and shows more oak characteristics than any Chinon I've ever had. If you're looking for something a little different out of California, though, this is a nice choice. While it's a big, modern style of wine it's still a varietal that's off the beaten path. My wife bought me this wine a year and a half ago, and paid $20. I'd like to find another bottle or two and see how they continue to evolve in the cellar. Raise a glass! This Port from the reliable maker of Sandeman's is rich in fruity raisin flavors. It is a bit hot, but tasty and thickish. It needs to mellow out as it has an attitude. Never-the-less, it is pleasantly sweet even if a bit harsh with a lasting finish. At $18 it isn't a superb value but it is fun drinking. Raise a glass. Prosecco's have been value wines for a couple years now. This one is pale straw with sweet bouquet of gentle apples with nice bubbles on the palate. It is tasty, fresh, uncomplicated and delicious. I like this a bunch and it was on sale from $15 to $12. Certainly a value here so raise a glass. This wine is from the Ribera Del Duero is purple hued with a very grapey and vanilla sweetness bouquet denigrated by an aroma of alcohol. The palate is a bit hot, sweet and shallow. It is simple and very marginal; not Tempranillo-like at all. I'd pass especially at $12. Stopping in "The Clown" in Belfast, Maine, "Billy" of this blog and myself had the privilege of meeting the owner and Khris the manager. I was surprised to find that the owner had her own bottled creation from Castellina (Tuscany) by the name of their vineyard of the same name. Billy sprang for this upper tier Chianti Classico which sold for $25. 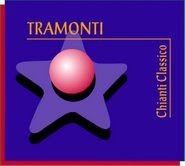 It is somewhat of an opaque dark red with classic Chianti bouquet of fruity licorice, pepper and a hint of candied sweetness. The palate is full of black pepper and a bit course on opening. Decant! After an hour and a half, the wine drinks well, is very pleasant, with a finish of cherries and pepper. This is a really nice Chianti. I don't know how well distributed it is, but if can get your hands on it, try it and say "Belissimo!" Then raise a glass. 2008 Blog Awards--Do You Like us? It's time again for the 2008 Web Blog Awards. PB, NW, and I at The Wine Cask Blog would love your nomination in the best Food Blog category. 20,000 a month of you fine people from all over the world stop by to check out our reviews. Care to give us some recognition? Since you have to nominate 3 blogs within a category, we also suggest taking a look at the Wine Blog Roll to the right and down for other great Food Blog Nominee candidates. We nominated LENNDEVOURS and Drinks are on Me. Nose: honeydew melon, soft nutmeg, charming. Palate: short on acids this feels flabby in the mouth leaving more than a little to be desired. Some brightness exists on the back of the palate but not enough to make up for the initial lack. Finish: honey and green stem finish that sticks to the palate. Overall, the nose is elegant and charming. The body leaves more than a little to be desired. I paid about $7 for this wine. At $5 or even $6 I'd say it's fairly priced. At $7 it's ok but not great. If you're looking for a Gewurztraminer then look for one from France or Germany but pass by the Columbia River Valley this time around. PB reviewed the 2002 vintage here and also found the acids a bit lacking. But he liked the wine better overall. As he is something of a Gewurztraminer junky, I'll let it pass but I need a bit *more* from this wine to call it good. This is an amazing rose; yes there is such a thing, and this one is just plain delicious and fresh and smells of candied strawberries with awesome touches of sweet spices. Fresh fruity taste, decent structure and a lingering finish. This Spanish rose cost $7 and is simply a wonderful beverage. If you see one grab it and try it and raise a glass. Nose: Huge Jammy Blackberry and spice. Cola emerges. Oak and Cinnamon. Delightful. Big. Fun. Palate: Silky to over-silky (think egg-white smooth) in the mouth. The wine is still balancing though. Another several years laying down will mature the acid/tannin/flavor relationship and make it more comfortable and refined. Overall, I paid about $40 for this 2002 Napa Cabernet Sauvignon. It has been laying down for about 18 - 24 months (I don't remember exactly when I bought it). But it is a fine finish to the wonderful Christmas vacation from which I and the family just returned. 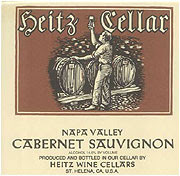 The Hess Collection Mount Veeder Cab still pours young. It is a deeply inky purple-black and opaque. Here is what NW had to say about the same wine back in 2007. And here is what PB had to say about it in 2006. Dug out of the bottom of a clearance bin (an unbelievable find and a badly misplaced treasure), this wine is big, bold, and rich. The fruit and spices explode from the glass and the texture is rich on the palate. I paid an outrageous bargain price of $17 for this $45 treasure- and it confirmed my love of superTuscans! Here is a wine that aged beautifully and much better than the reviews back in 1999 would have suggested. It shows layers of fruit and a long, silky finish. I grabbed the last of three magnums stashed away in the back of a local wine shop's climate controlled room. After consulting the general manager, I found out the other two bottles had been purchased by employees of the store. What a deal at $50! Don't miss the opportunity to try a Pinot Noir from New Zealand, especially from the Central Otago region. Good luck finding one, though. Even extensive wine selections often only include one or two choices. If you happen upon this one, you'll be treated to a big bouquet of roses, mulberries, and spices with a lively core of fruit and real purity of flavors on the elegant finish. Amazing food wine, for sure! Expect to spend about $30. This wine has Bordeaux written all over it. It couldn't be a better example. With a smokey nose of tobacco and black cherry, the texture is smooth and the finish shows leather and earth. Overlooked by collectors, it's drinking beautifully as it approaches ten years old. Priced perfectly for me at $32! One sip of this wine made my heart skip a beat- it's that good! If all Merlot tasted like this, no one would ever question the varietal. Incredible depth and layers of ripe fruit, all well structured and stretched out into an endless finish. For $55 or so, this wine is a benchmark. Also, it could age for a lot longer than I allowed it to. Carmenere in Chile can do extraordinary things! This wine is so dark purple and fragrant, it had me wondering how I could refinance my house and buy more. Incredible depth, richness, and layers of dark fruit that have no beginning or end. If you have some don't drink it yet. Let it continue to rest in your cellar (provided you have proper storage conditions). I paid about $60 for this bottle. Buy every bottle of 2005 Chateauneuf you can afford. Something special is happening in this region of the Southern Rhone. The past few years have been terrific and the 2005's are top of the class. This wine is just great- with a rich nose of fruit and spice followed by plush texture and a long finish. It tastes great now and should continue to be delicious for several decades. I paid $55 a bottle for this wine, and it's well worth it! One of the most fragrant white wines I've ever had, this was the biggest surprise of the year. I didn't know what to expect due to a lack of information about this wine, but it is beautiful. I wish I had several cases. And believe it or not, I bought a bottle for just $22 (the reference price is $70). What a delicious white wine from a Tuscan producer whose reds I really enjoy! Dare I say it- this wine is even better than the Special Selection 2004. Why? It's big and bold, but also classy, elegant, and well-layered. In other words, it's really well put together and tastes great now. Who knows how they will stack up in ten years, but if you reach for an amazing Napa Cab today you'll do well with this one. And by the way, you'll pay $65 for this versus $135 for Special Selection. This wine brought a tear to my eye! I couldn't believe what I was tasting. My wife bought it for me for about $30 on a trip to California more than two years ago because she felt it was a wine I probably wouldn't see for sale on the East coast. I let it linger in the cellar for the past two years and finally decided to pop the cork. I was amazed! Maybe it was just the right amount of bottle aging or some other stars lining up, but this wine blew me away. It has terrific layers and is seemlessly integrated. The texture is silky and the finish is relaxed. I am far from being on the Pinot Noir bandwagon, but I know I tasted something special here. I sipped slowly on the wine for hours and thought about the meaning of life. And that's what great wine can do. Raise a glass! It's time again for the 2008 Web Blog Awards. PB, NW, and I at The Wine Cask Blog would love your nomination in the best Food Blog category. Several years ago I had an Excelsior Cabernet Sauvignon--I believe it was a 2004 but I am not sure. I was impressed with it and had several bottles that year--all very tasty and at $8 a bottle, it was an excellent value. Then the 2005's were released and I noted an unusual taste that was reminiscent of band-aids. Thinking the wine was tainted I purchased another and it was the same. In subsequent vintages and with various producers, I was noticing the same ucky aroma and taste. It was so prevalent that I was starting to think that perhaps this funky taste was actually South African "terroir" and that some would grow to love it like other distinctive terroirs around the globe. Now after three years or so of tasting S. African wines, I am seriously wondering if this isn't terroir at all but taint caused by Brettanomyces contamination. "Brett" is a killer fungal contaminant that has ruined wineries' inventories. It is often described as tasting like/smelling like band-aids. I do not wish to disparage an entire industry especially since I have not tasted nearly enough wines from South Africa, to make such a pronouncement but nearly every one I have tasted in the past couple years (with the exception of some Chenins) have been touched by this nasty aroma/taste. It seems to be more pronounced in red wines. At any rate, which ever it is, I am not inclined to continue experimenting throwing away my money on a hope that I can find a good wine. So this is offered in the for what it's worth category and I would love hearing from others who have had similar experiences. Raise a glass but my counsel is to shy away from S. African wines without a trusted recommendation for a particular wine first. Pale yellow with a slightly funky bouquet with citrus ans shroomy fruit over Sauvignon Blanc aromas. The wine is dry with good acid and a little thin on the palate with lemon and citrus flavors that are good with a *band-aid "terroir" but only slight. This wine runs around $10 and at that price point there are scads of better Sauvignon Blancs available especially from new Zealand. *See my post on S. African "terroir" above this post. Bright cherry red hue with red fruity Grenache bouquet blended with Syrah, Cinsault (pronounced sin-SO) and Carignane (pronounced car-reen-YON) with sour cherry notes. This Cote Du Ventoux red is a perennial value wine with a touch of pepper, solid flavors of steely fruit. this 06 is even better than the nice 05's. I paid around $6 for this and will buy more to raise a glass often. I bought this on a summer trip to Los Angeles paying $30 for it at a Bev Mo in AltaDena. I opened it for our Christmas dinner and was letting it breathe when it somehow tipped over and I lost about a third of the bottle to the floor. It is nearly black on the pour with intense deep pigmentation of purple black cherry hues to the rim. The bouquet of this wine is full of ripe fruit of black raspberries with a subtle note of black pepper and sweet licorice hints as it opens. The wine is elegantly textured with lovely balance of sweet black licorice, ripe plums and dark berries and is just delicious. Raise a glass of this treat and keep it in the bottle and off the floor! Happy 2008 from PB, NW, and Billy here at the Wine Cask Blog. We are wishing you all the best. To ring in the new year here, PB and I celebrated with a toast of Moet & Chandon White Star Champagne. This ran me about $40 and it is generally regarded as good Champagne. While sparkling wines abound (we had a $16 Domaine Ste. Michelle Brut sparkling white earlier this evening and it was nice), there is nothing like the sparkling wines from Champagne, France. There are many affordably priced ones generally available and many higher end ones available as well. Nose: soft flowery citrus, a touch of hazelnut. Palate: brilliant tiny bubbles. Dry but not devastatingly so, eminently drinkable. Structured and evenly charactered. Overall, what sets this Champagne apart from other sparkling wines is its elegance. It is soft, not harsh, even, not overpowering, subtle, not walloping over the head. However you do it, Raise a Glass to the new year!